If you’re a new language learner, you know that discovering a tool to help you learn more efficiently and practically is a huge deal. Further, when you can combine learning that language with your personal Bible study and meeting preparation, you know you have a winner on your hands. The Equipd app sets its sights on doing just that. While not a new release in the App Store, Equipd for iPhone and iPad has just received some notable features that are worth exploring. 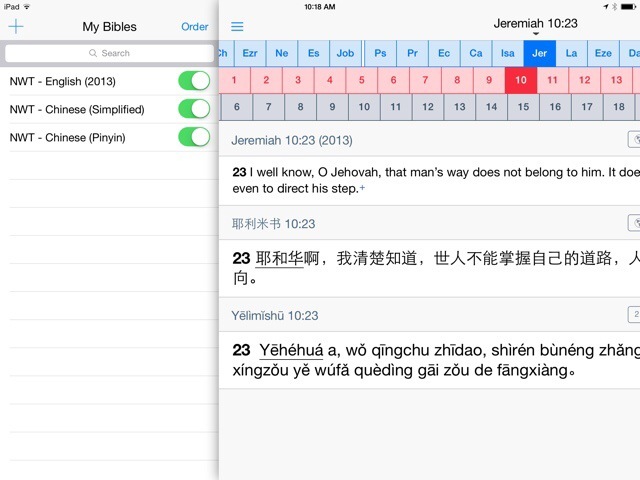 Originally released primarily as a Bible reading and simple study app in 2012, Equipd’s power was that of comparing verses in multiple languages, all on the same page. Gradually more features were added. A News section brought streaming RSS feeds from JW.org including the ability to download EPUBS, PDF, listen to Watchtower and Awake podcasts, and enjoy Kingdom Melodies. Next came bigger and better studying tools, like scripture pop-ups, annotations, images, Bible cross references, and footnotes. Most recently, Equipd has been redesigned with a more modern user interface design. Over time, Equipd has developed into a well-rounded study tool, even for those not learning a new language. Yet, multiple language capabilities still are at the heart of the app. Notice the Bible tab in the left hand menu on the main screen. Tap on that and you will see a well-designed scrolling scripture picker. Navigate to the scripture you want, then tap the three stacked lines in the upper left corner. A hidden panel will slide in which allows you to add additional languages for comparison. Each of your selected languages can be cached to the device for offline use by tapping the toggle. For studying purposes each version of the scripture can be copied for pasting elsewhere on your device. Play around with some of the other options here as font sizes can be adjusted and so on. 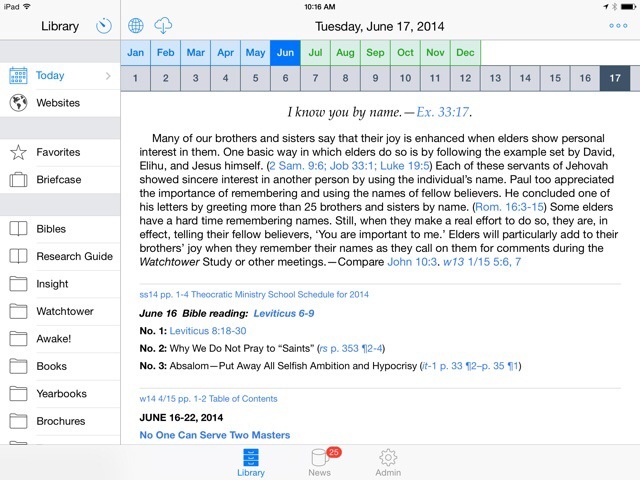 Scriptures can be favorited and emailed from this Bible view. Tapping the Done button in the upper right will bring you back to the main screen. From the main screen you will see other publication categories listed. Tapping any of these will take you to that section of JW.org, but formatted for Equipd. Magazines, books, and brochures can all be browsed and downloaded to local storage. Tapping on an publication will bring it up in full view. Similar to the Bible view, a left hand sliding panel can be activated, this time showing a table of contents. Whereas, here, a globe icon is where you will select different languages. Unlike the Bible view, while reading a publication, you will not see all languages as once. Instead Equipd employs a cool double-tap function that cleverly cycles through languages you’ve chosen. 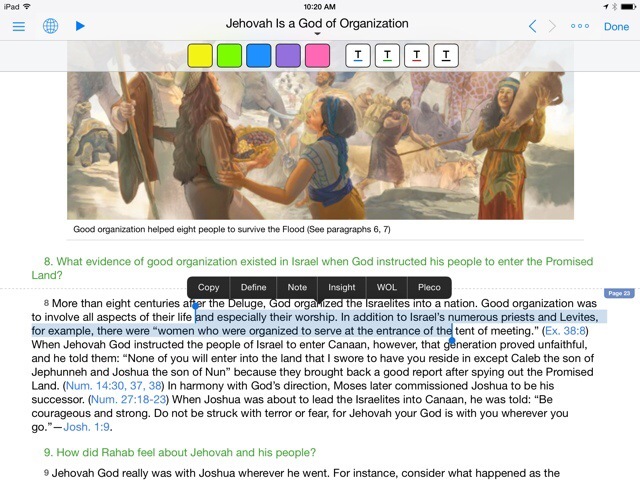 Underlining annotations have been available for a while, but notes are a recent addition to the app. Finally, Equipd has come into its own as a fully functional study tool. Lastly, any article you’re reading can be added to your Briefcase through the three-dotted icon in the upper right. This functionality also works with articles you’ve found on wol.jw.org through Equipd’s Websites tab on the main screen. While browing online, first tap the bookmarks icon and then the three-dotted icon to add the article to your Briefcase. Back on the main screen, the Briefcase is where you’ll find all your saved articles. I highly recommend spending some time going through all the features of Equipd for iPhone and iPad. You’ll need some time to scour all its settings and abilities. Once you do, I think you’ll find Equipd to be a must-have Bible study and language learning app. Check it out below. 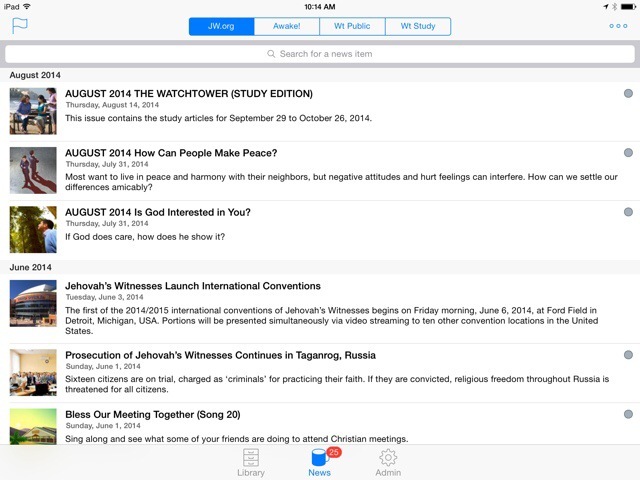 Equipd is just one of our favorite iPhone and iPad apps for Jehovah’s Witnesses. We’ve collected all of our favorites here. And if you’d like to see more of our top app selections in different categories, just head on over to our Best Apps Series. Please note that the developer may not support updates for the Equipd app in the future. Thanks for a great review! Loved seeing the video. Thanks for making this great app Matt. .ipa’s are linked to iTunes accounts. You might want to contact the developer of Equipd to ask him for a standalone copy. Please I have Equipd for long time why now not working, and no more downloads the Arabic ! And English! Why?